There are some areas in Toronto that you’ve deemed “too expensive to live in.” Are we right? Yes, we’re right. And Leaside is one of those areas. With its’ picturesque tree-lined streets, highly sought after houses, top-rated public schools and beloved parks and community centres, Leaside is a fancy shmancy ‘hood. It has a “small town” feel but very upscale and you might find yourself priced out of the neighbourhood. Fear not. 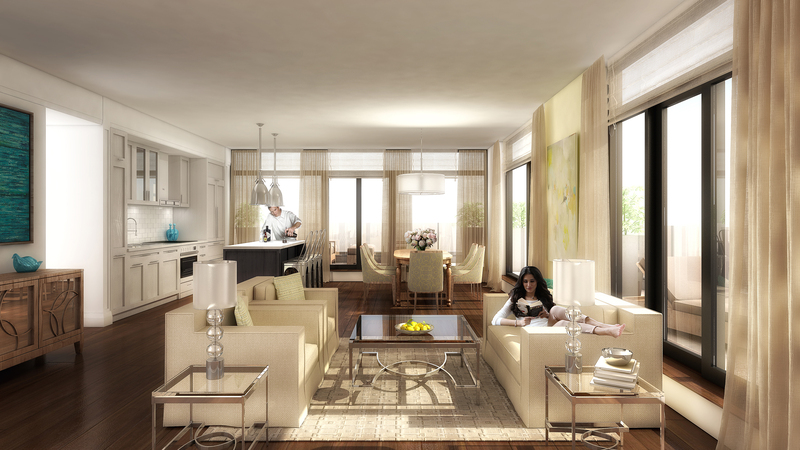 Knightstone Capital Management Inc.’s new condominium project, the Upper House, is your ticket to this great area. Located at Laird Dr. and Millwood Rd., The Upper House offers a great location, stunning architecture and eminently livable suite layouts – but most importantly: at the right price. 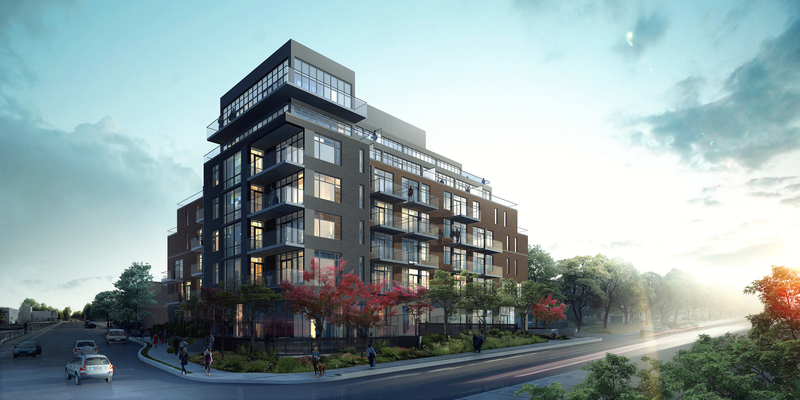 The seven storey residence features 74 suites including seven two-storey townhomes designed by the award-winning Kearns Mancini Architects Inc. Starting from the mid-$300,000s, suite layouts range from bachelor to three bedroom with den, while townhome layouts are available in two bedroom, two bedroom with study and two bedroom with family room and office/den. The interior is arguably the most impressive. The kitchens feature quartz countertops and fully integrated appliances. The bathrooms offer custom designed cabinetry, polished chrome faucets and porcelain floor tile. The building is not short on amenities either: a fitness studio, equipped with weights, cardio equipment and a stretching area, a residents lounge, complete with a full catering kitchen, dining area, fireplace and large screen tv (with access to an outdoor patio garden). You can also hang out and BBQ dinner on the rooftop terrace or clean up your furry friend after a walk at the dog spa. So when can we move in? The team at Knightstone expects occupancy in the fall of 2016. But if you ever want to actually leave the building (we get it, you might go stir crazy), the Upper House is just steps away from plenty of shopping like the iconic Longo’s grocery store, which was converted from an old Canadian Northern Railway service station. If you aren’t in the mood for cooking, restaurants such as Against the Grain Urban Tavern, Kintako, L’Avenue, Riz, Millwood Melt Grilled Cheesery, The Olde Yorke, Five Guys Burgers and so many others are just as close-by. Register now to be one of the first to preview The Upper House! Go to TheUpperHouseCondos.ca, call (416) 425-1800 or email theupperhousecondos@bakersales.info.